Holy moly! 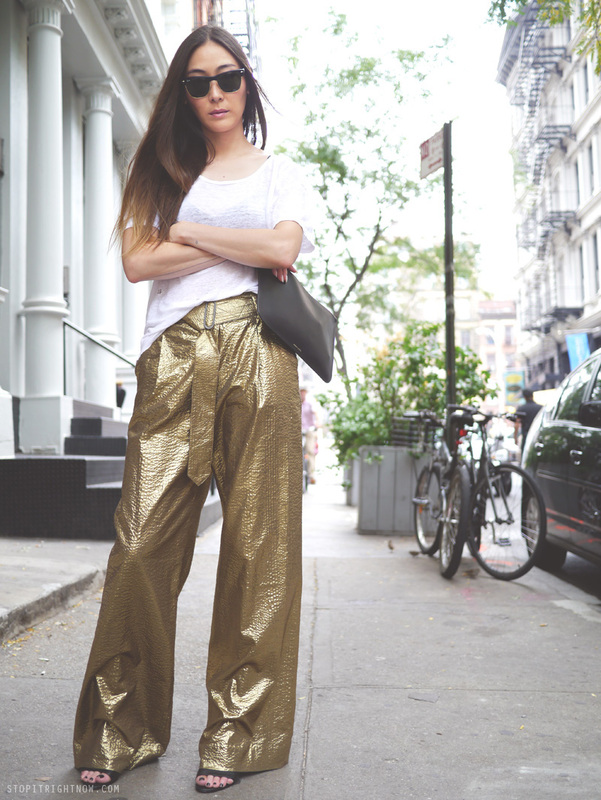 Only you can pull off a pants like these! Cool! Very interesting pants! You look very cool! AMAZING! I adore this look. wooow. Well coolest pants ever award goes to you. Love this look! I think you win the internet today. THose pants are amazing! I love them. Recently returned to the U.S. after 7 years in Europe. I've been reading your blog since the beginning and I freakin' love you. As I edit and build my new closet I have referred many times to my favorite posts of yours. You look great, dress with such ease, and look like yourself. As a busy mom, this is an aesthetic I not only appreciate but require. Thanks Jane! 15 mins from REM to car? Wow. I thought I was doing OK with 30 mins! 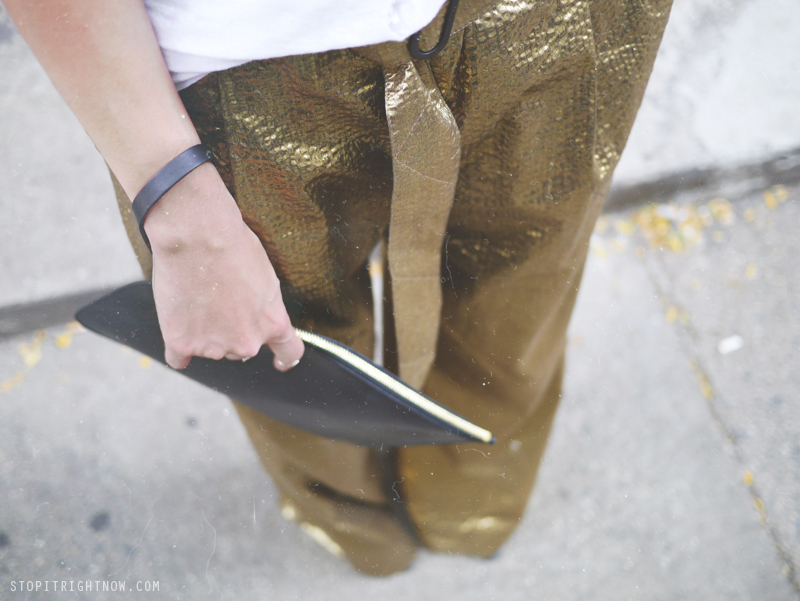 Nothing like throwing on a wide pair of gold pants into the mix. This is a kind of look I really wish I could pull off with your nonchalance! courageous yet so oh effortless!